When looking for an expert Licensed Electrician its always good to remember safety first! We have seen our share of spotty wiring that was a fire waiting to happen. Besides safety there are many other benefits to hiring a professional electrical contractor. Experience is another reason to hire a professional to do your work. With over a decade of experience doing residential and commercial electrical installs and repairs in Los Angeles, Orange County and Long Beach our AEC contractors have seen it all. 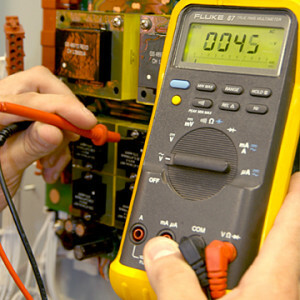 Our trusted services provide reliable electrical solutions. Having an electrician that fully understands how your electricity works will keep the lights on and the appliances working. Bad wiring systems can damage appliances and ruin electronic motors leaving you with costly repairs. If you notice lights flickering when using your appliances this could be due to overpowering your circuit. Hiring a licensed electrician will eliminate these problems. Our qualified Electrical Contractors serve Long Beach, Los Angeles and Orange Counties. We are always nearby to help. Feel safe knowing when hiring an AEC Electrician that your are hiring a state licensed electrician who can install, maintain and repair your commercial or residential electrical system.